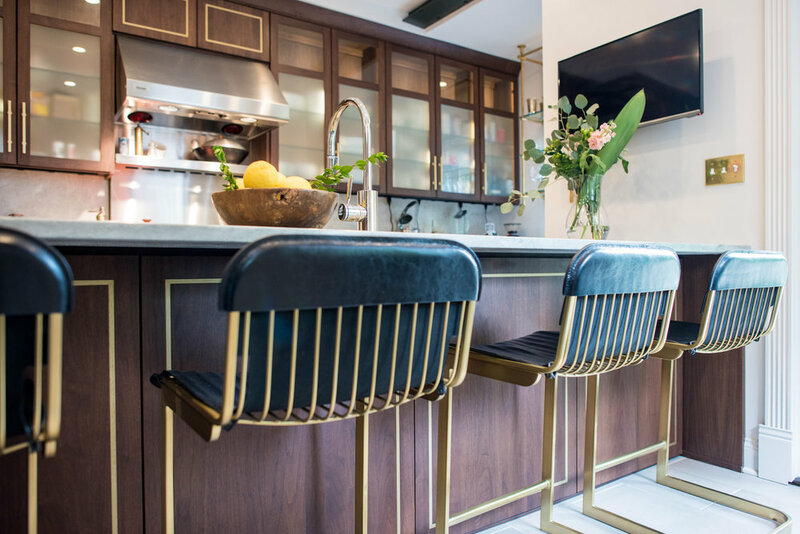 As 'they' say, the kitchen is the heart of the home - and this one was losing its beat. This easy-going and hardworking client needed a space to match his skills at the stove. 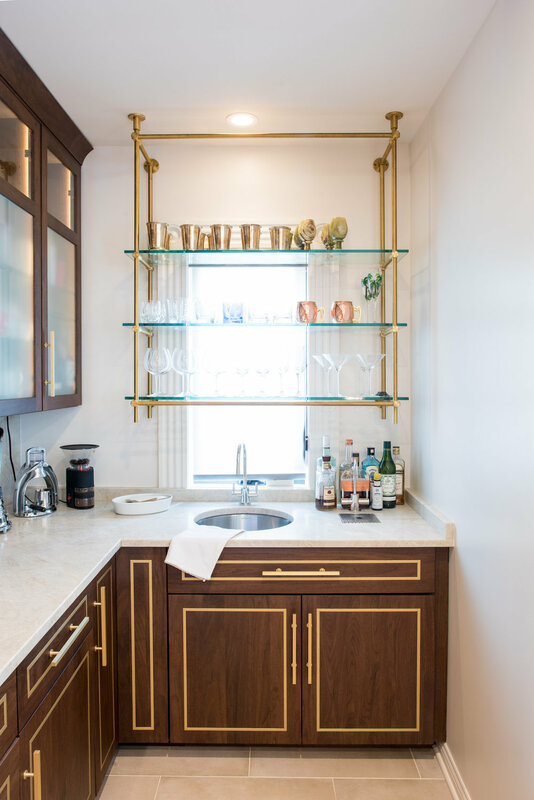 The floor-to-ceiling custom kitchen received a full overhaul which included an expansion into a previously unused pantry to gain additional counter space. Sunlight pours through a new window at the bar overlooking the amazing backyard. 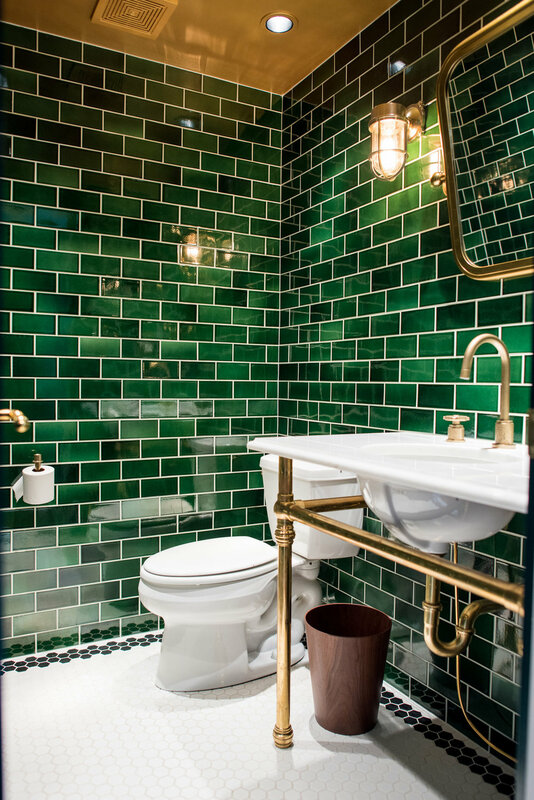 New high-gloss pantry cabinets lead the way to the first floor powder room, where, taking notes from Ralph Lauren, the gilded ceiling and evergreen tile are stunners in this hidden gem. Ready to start your home renovation? Let's get started!